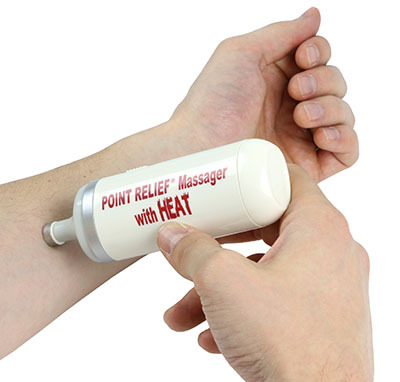 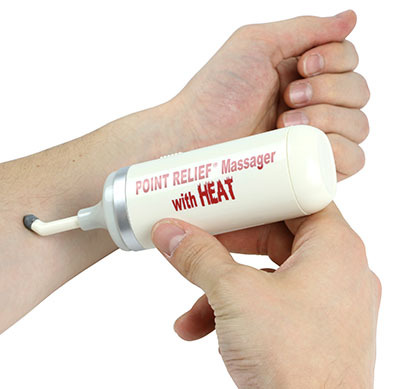 Point-Relief Mini-Massager with heat offers a soothing massage. 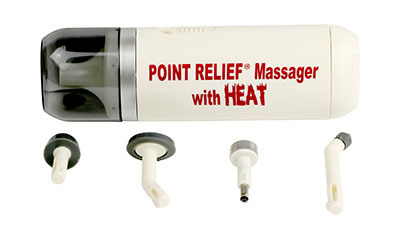 Comfortable vibrating massage from any one of 5 massage heads (1 of the 5 heats up). 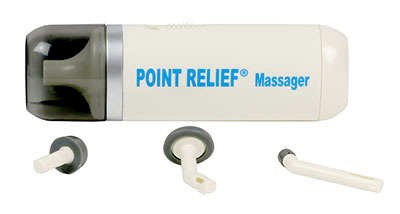 Massage heads vary from broad to targeted. 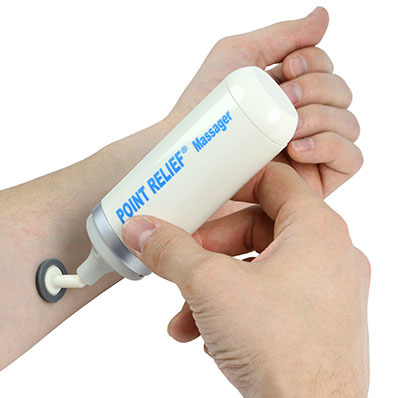 Compact, portable, small enough to fit in purse or pocket. 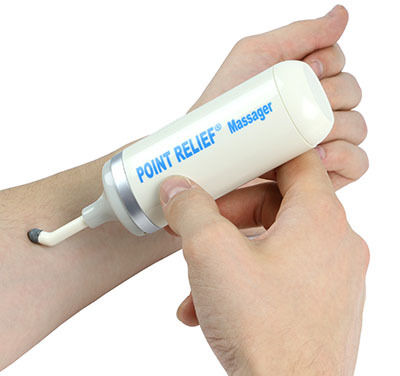 Uses C battery (included).